A dear friend of mine wrote a post about a site called Esri Zip Code look-up. (environmental Systems Research Institute) I thought… well I check it out…surprisingly it was full of interesting data that you don’t really find anywhere else. Did you know the income level in Saline is $67,107 – $99,321 and the rest of Washtenaw County is $47,728-$67,106? 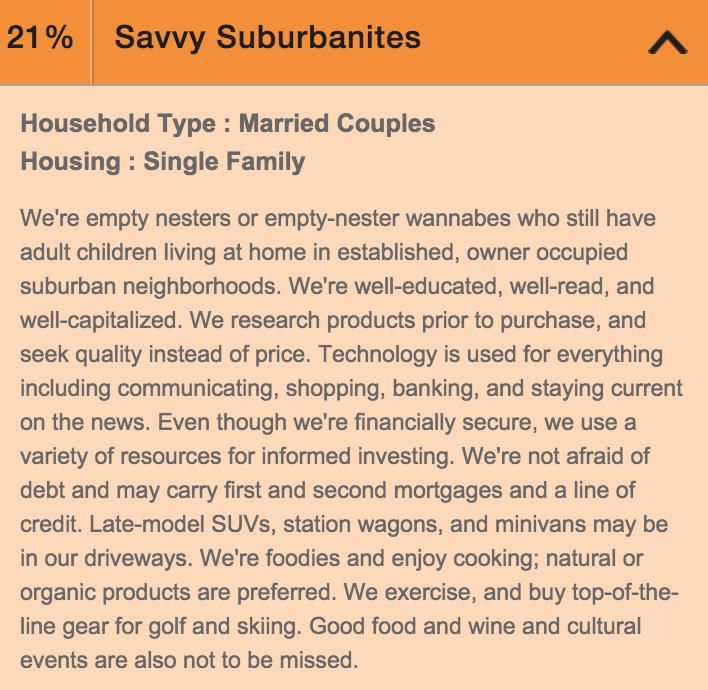 I am partial to the Savvy suburbanite, because at the first of the year, I started my own “boutique brokerage” Savvy Realty Group. 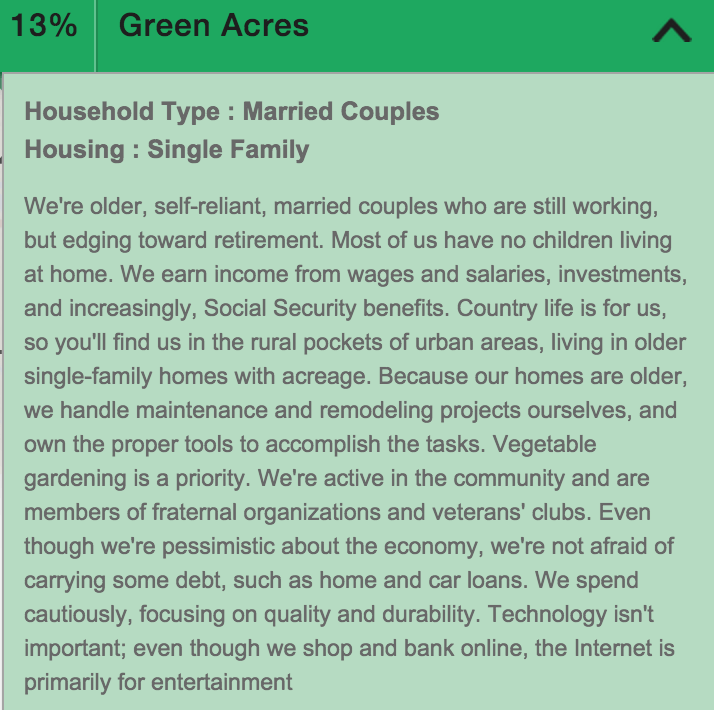 Under the Green Acres demographics I will disagree with this statement, “technology is not important…the internet is for entertainment. I have been using the internet for 19 years when I first became a Realtor, being one of the first local agents to have a web-site. 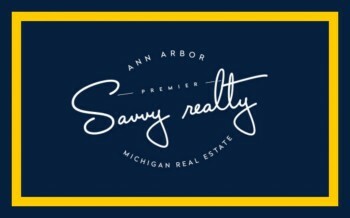 Our new company Savvy Realty is 100% paperless. Offers are written, listings are taken and SOLD via digital paper work. Many times our sellers go ahead and relocate and all the documents are signed online. Well minus the warranty deed which requires an original signature. Approximately, 60% of all our “new” buyers come from the internet. I have lived and worked and raised my children in Saline. I’ve been active in the schools, Chamber of Commerce. My kids have participated in sports from football, hockey,soccer,basketball, T-ball,baseball etc…. It is a great place to live and over the years I have blogged and written on Saline, MI. While you are at it check out some great Saline home buy’s here. 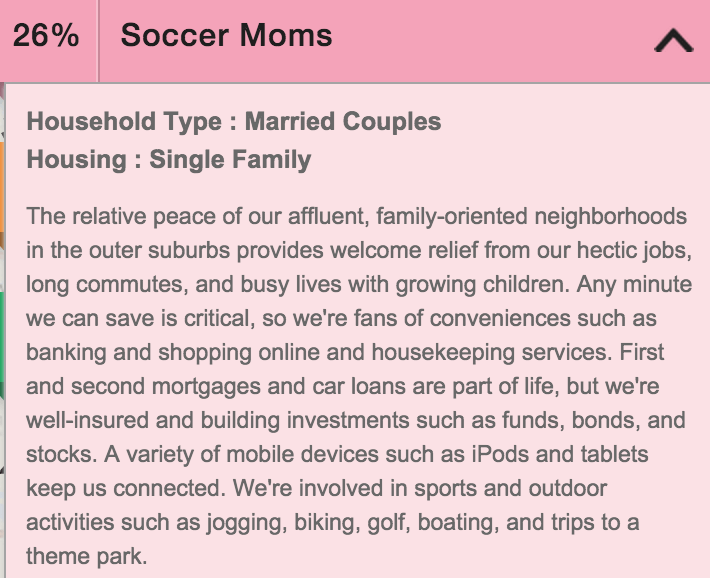 There are so many fun demographics to check out on the Esri site so go have some fun and let me know in the comments if you agree with how they have tagged us.